WE ARE SO MUCH MORE THAN A BODY SHOP. 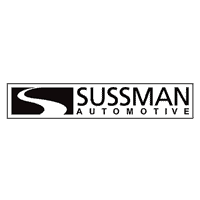 Sussman Collision has been in business since 1975. Our facility has been a leader in the collision repair industry in Montgomery, Bucks and Philadelphia Counties. We pride ourselves on doing the repair correctly the first time & giving excellent customer service. All our techs are I-Car Certified. Our Collision Center is also a Profirst certified repair facility. Direct repair shop so we deal directly with the insurance company. Quality control checks are in place during the entire process to ensure that your vehicles gets fixed right. Genuine factory parts are used in most cases. Car rentals are available right on the premises. We work on tight schedules reducing car rental lengths saving you money. ALL WORK IS GUARANTEED for the life of the vehicle. Experience: Our staff has over 200 years of experience between them.